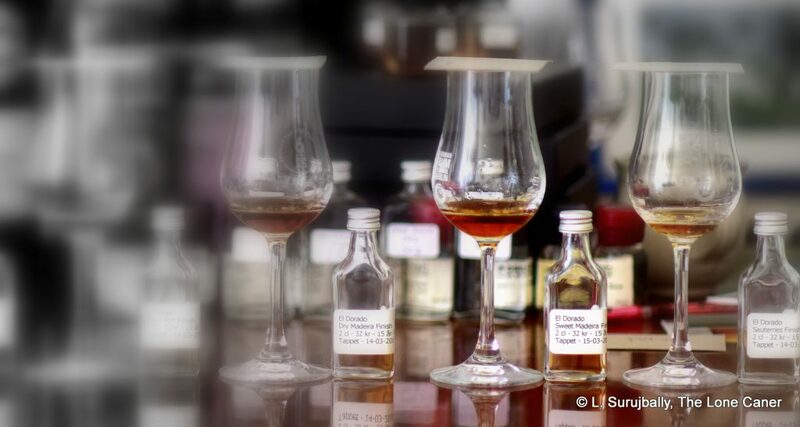 Rating a rum against comparators is an invaluable tool for any reviewer because it allows differences and similarities, strengths and weaknesses to not only snap into focus more clearly, but to buttress one’s memory of other rums tried in times gone by. 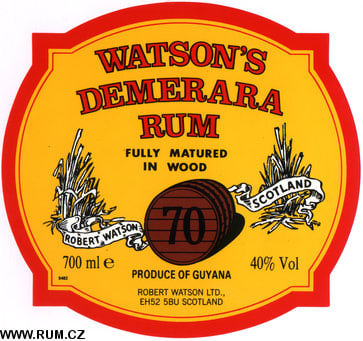 And although Guyanese rums are losing some of their lustre these days as the Age of Velier’s Demeraras fades to black and Foursquare is the name du jour, DDL’s killer app is still going strong, and the various permutations of the stills’ output may be the most recognizable, distinctive rum style around (bar perhaps the current Jamaicans or Reunion islanders’ work). So when a halo rum comes around, it needs to really be run through the wringer to ensure a proper placement on the leaderboard. 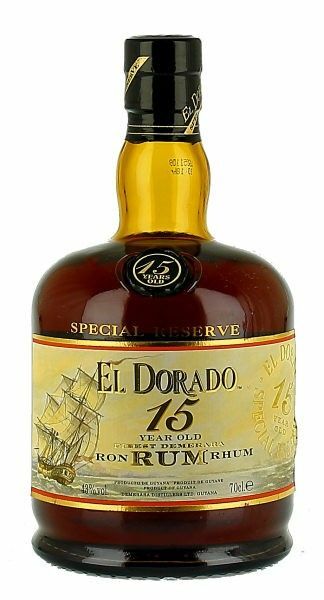 For those who felt I was being unfair to DDL and their 50th Anniversary rum, or overly critical of the El Dorado 25 Year Old from 1988, let me show you what it was up against that day and give you a rum flight of as-yet-mostly-unwritten-about Demeraras which will be posted in the months to come. I don’t do enough of these and always enjoy doing a lineup for the curious; and here I think it might be a useful piece of background reading for the 25 and 50. And indeed, the more I wrote about the results, the more occurred to me…I hope you find my remarks below the thumbnails informative and not overly lengthy. So here we are. Note these are just tasting notes, with few opinions, and no scores – those can be found on the full reviews. 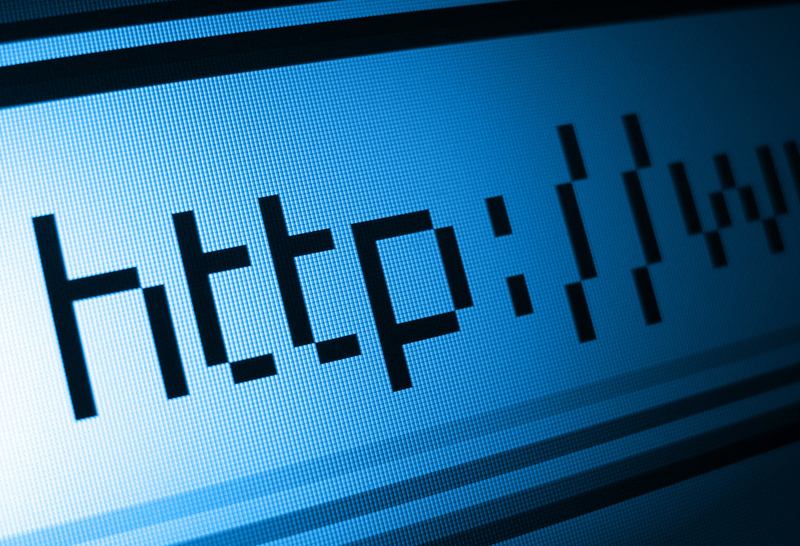 The purpose here is to rank them against each other and provide some conclusions for examination and discussion. N – Perfumed rum. No, really. 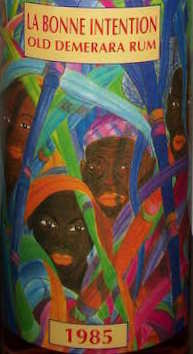 Hot pencil shavings, rubber, sawdust and the flowery notes of esters looking for Jamaica. It noses sweet and fruity, in a really intense way. Develops into a musky, fruity and deep series of aromas, including strawberries in cream, vanilla and a little licorice. P – Strong spices: nutmeg and cinnamon. Also caramel, coffee, creme brulee, molasses and anise. Goes deeper and fruitier as it opens up – raisins, ripe apples, peaches. Also woody, sweet sawdust (I know that sounds weird) and lighter flowers. F – Lovely, long, lingering, lasting. Molasses and coffee are dominant, with subtler flowers and fruity backgrounds, and a bit of candied oranges and mint. Nose – A more elemental version of the Velier 70 PM <SVW>, perhaps a smidgen better because it is more focused. Represents the PM profile in fine style, a little dialled down and not as furious as some others I’ve had. Bags of dark fruit – raisins, dark grapes, dates – anise, vanilla, flowers, also peaches and prunes and plums, very deep, very rich. Palate – Coffee, sawdust and pencil shavings are instantly and initially dominant, but fade over time, replaced with more of those dark fruit notes of blackberries, plums and prunes, all very ripe. Background flavours of coconut and chocolate ameliorate these, taming it a little without obscuring the sharper flavours. Easy to sip, warm rather than sharp. Finish – Spices emerge here, mostly cinnamon. Also oakiness (not too much), coffee grounds. 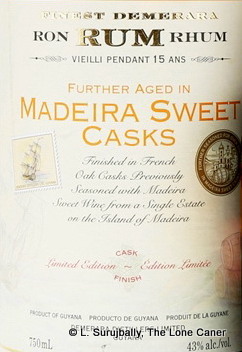 Bitter chocoolate, anise and vanilla, some lighter fruits. 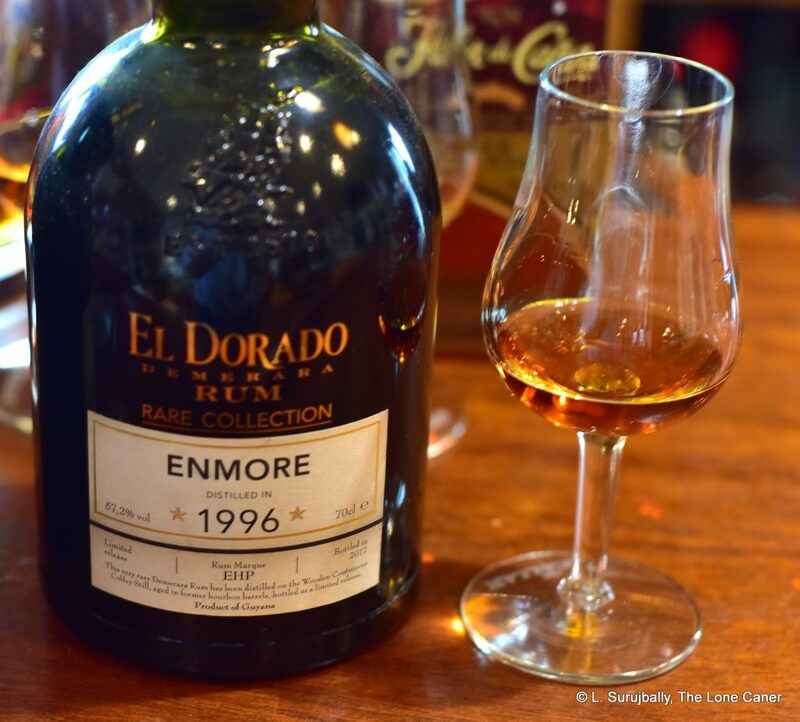 Nose – For a rum at cask strength, this Enmore is almost gentle. Rich, pungent aromas of freshly sawn lumber, damp sawdust. The smells of coffee, chocolate and vanilla are offset somewhat by a nice sweet acetone background. Softer blancmange and creme brulee provide a soft contrast and it’s almost like a gentle PM. 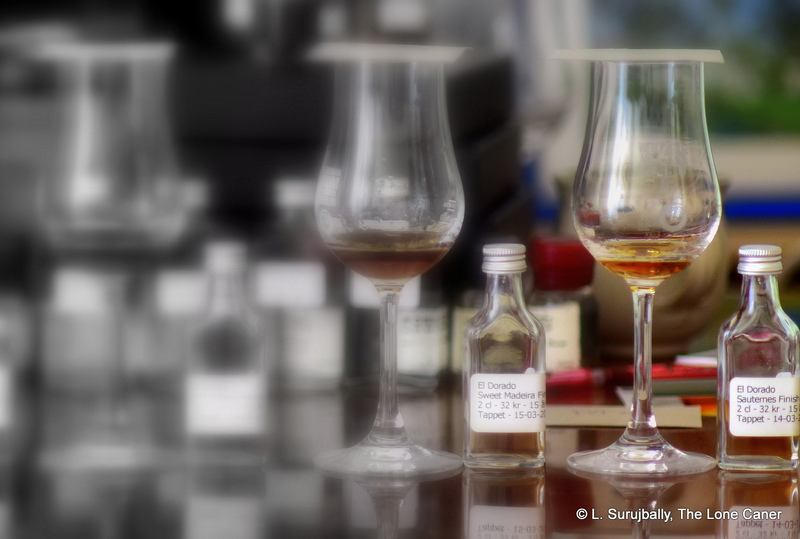 Palate – Soft and generally quite approchable, without losing any of the qualities imparted by the robust proof. 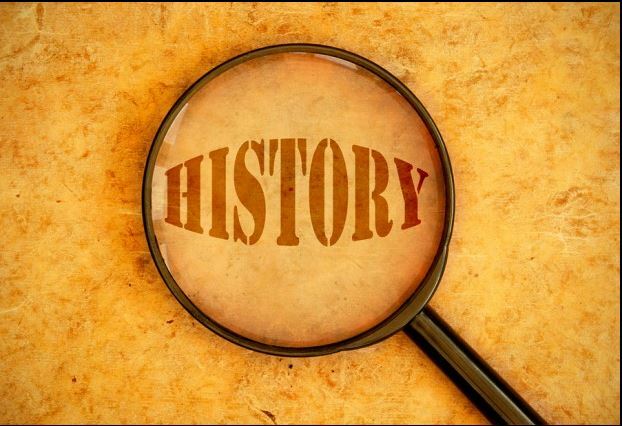 Fruits are forward this time – cherries, raisins, grapes, fried sweet bananas, and that haunting memory of hot dry earth being hit by summer raindrops. More caramel and molasses, quite genteel in its own way. Can’t help but wonder about dosage, but lacked the equipment to test for it, and frankly, I have to admit that this works really really well in spite of such questions. Finish – Long and langurous, giving back some musty, musky flavours that are mostly raisins, anise and vanilla. 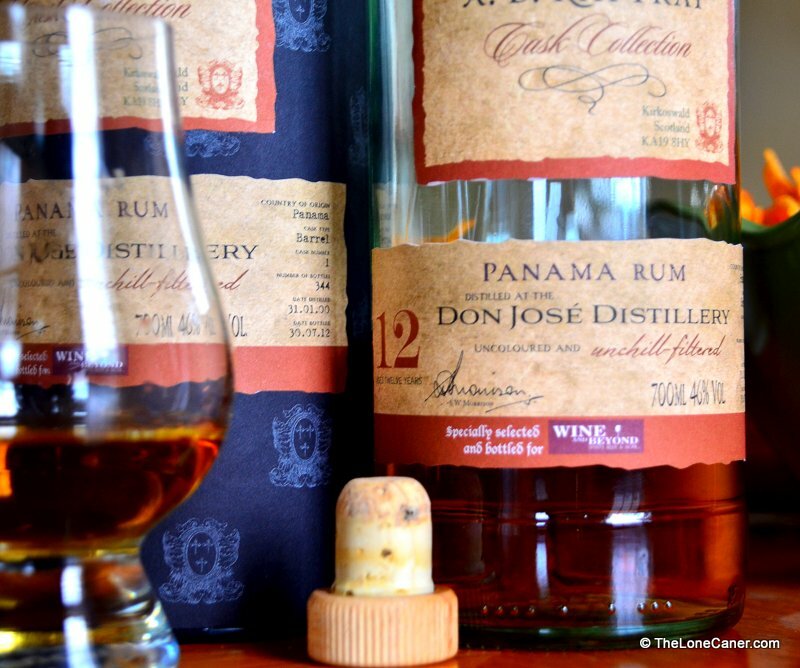 Palate – Sweet and thick. Vanilla, molasses, caramel, some licorice. White chocolate, flowers, indeterminate fruits, a little citrus. It’s all very tamped down and muffled, and the adulteration is clear and evident, lending a liqueur-like aspect to the entire experience. Finish – Unclear, melded and something of a nonexistent affair. Some caramel and toffee, a bit of citrus. Short and very sweet. Nose – Rich, well balanced. Deep aromas of molasses and licorice and raisins. Coffee grounds, cherries, vanilla, leather, some smokiness, followed after opening up with salt caramel and ripe fleshy fruits. 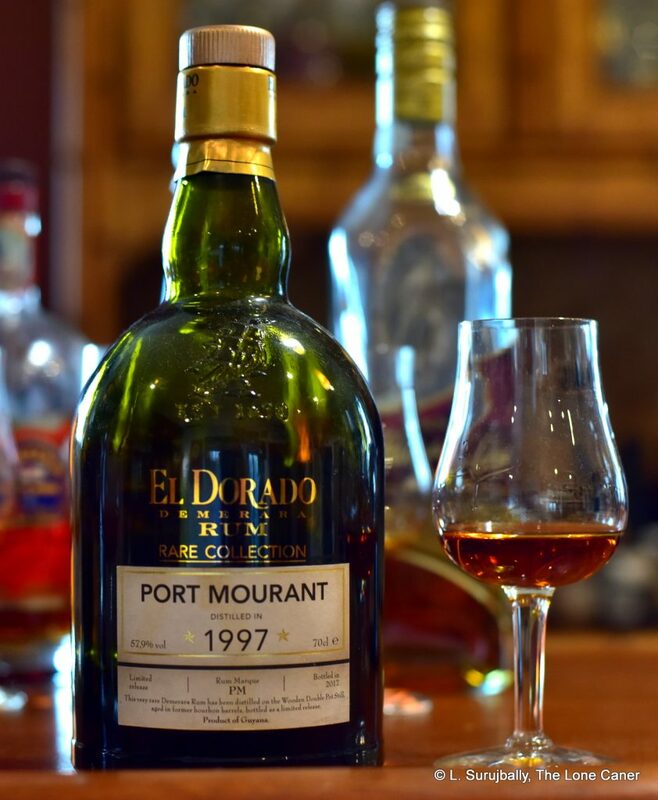 Palate – More of that salt caramel, pencil shavings, apples, guavas, more licorice, chocolate and coffee, plus a little citrus for bite and some vanilla. The sweetness starts to become more noticeable here, and the promise of what it started out as, is lost. 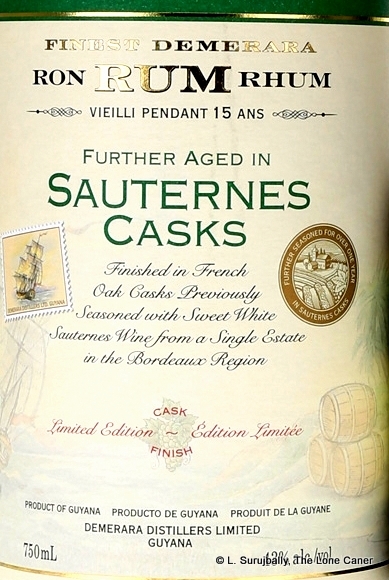 Nose – Refined, gentle and easy, and that’s not something I say about Velier’s or cask strength bruisers very often. Very distinct: molasses, brown sugar, caramel and vanilla t start. Adds licorice and a lot of dark fruits (mostly prunes and plums, I would say). Some light citrus peel and brine. 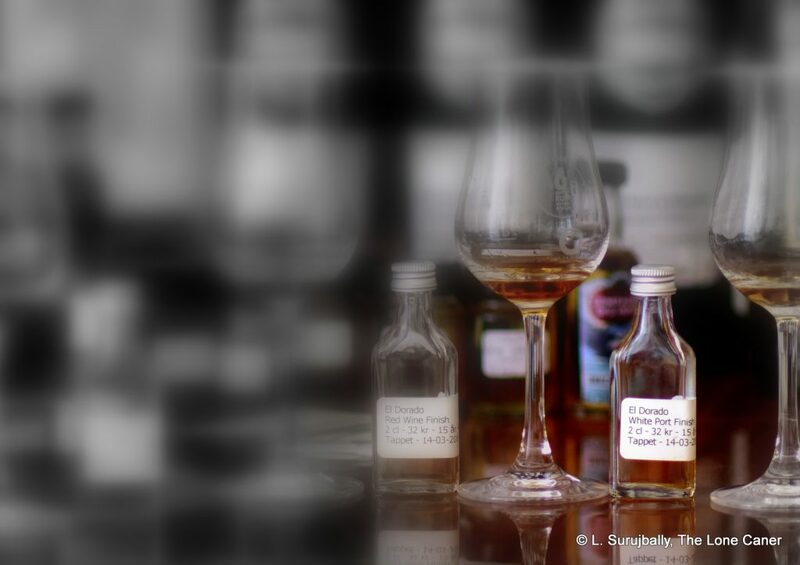 Palate – Somehow the nose is easy while the taste is sharp, not sure how that happened. Salt caramel, brine, olives, brown sugar, combining with tart fruits: red currants, apples, raspberries, prunes, as well as smoke and well-worn and oft-polished leather. Finish – Crisp, distinct and clear. Orange peel, vanilla, molasses and some of the fruits noted from the plate returning for a last bow. N – Sharp and fierce, almost jagged. Rubber, sugar water, watermelon, pears, nuts and fruits. No caramel or toffee flavours here. P – Vegetable soup and salt beef with brine and olives. Also licorice, leather, flowers, floor polish. Some green apples, lime zest and an odd vanilla twist. Complex, crisp, clear, seriously intense. Not for everyone, but for those who like it – oh yeah. F – Long and dry. Soy sauce, more veggie soup, sugar water. Nose – Heavenly. Sweet deep raisins and licorice, soya, coffee, bitter chocolate, leather and smoke. There’s just so much going on here it’s amazing. 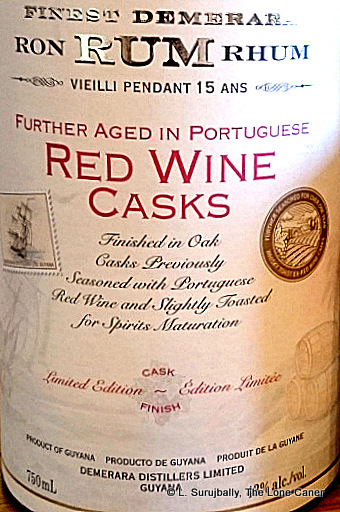 White pepper, dates, light briny notes, aromatic tobacco, overripe cherries. 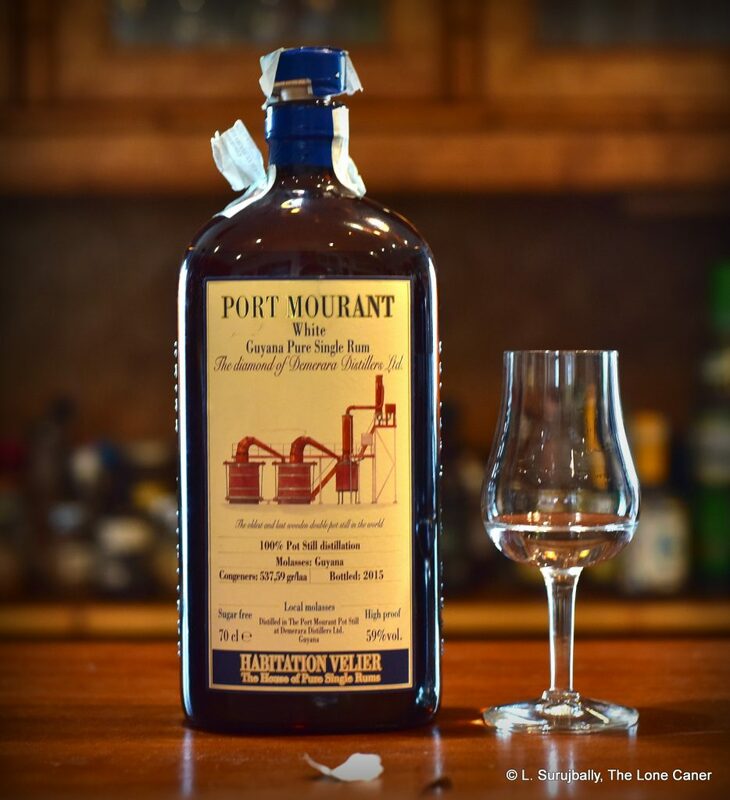 Palate – Licorice right up front in fine style, blended in with vanilla, some light caramel and white pears. Flowers, sawdust, ripe mangoes, raisins, black grapes, oak…the nose wasn’t lying, I could go at this for another couple of hours. Finish – All of the above. Plus some mint. What can we glean from such a lineup, small as it may be? Well, first of all, this is a flight that could be done blind and the lower proofed El Dorados (the 33 YO and 25 YO) would have stood out immediately, with the 1988 falling down dead last because of its additives and less complex profile when compared to the 50th Anniversary, which itself was given away by both strength and dosage. Also, the PM White would have been self explanatory; and the Uitvlugt 1996 because of its “non-PM/EHP” taste profile could easily be identified. The depth and colour and rich taste of the Velier 1972 would distinguish it in any company, so the only real difficulty would be to separate out the Enmore from the other El Dorado Rares, and then figure out which was the PM+Diamond and which the pure PM – in point of fact, I did indeed do this tasting blind, though I knew the 8 rums which were in the mashup. 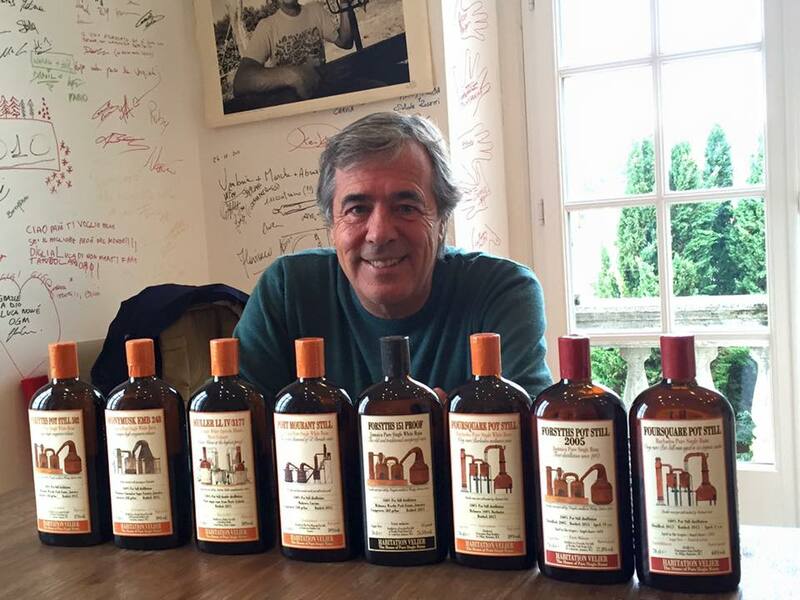 To me it’s clear that DDL has exactly zero need to adulterate its aged rums. The Enmore was really quite a lovely piece of work and the unaged PM white makes the point even more clearly. 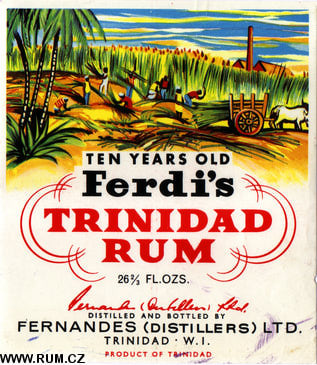 In this day and age, given the quality of the Rares and the track record of Velier in issuing ultra-aged rums from DDL (and remember, Luca never got to choose freely, just from what DDL themselves allowed him to see, implying that they knew of old stashes squirrelled away elsewhere which they thought of using themselves one day), there is simply no need for adulteration. Taming cask strength blends with distilled water would, I think, be quite enough. Yet DDL keeps on churning out the dosed Old Dependables — the 12, 15, 21 and the really-quite-oversugared 25 year olds from 1980, 1986 and 1988 — perhaps because they really are such dependable sellers and if it ain’t broke why fix it, so why mess with a good cash cow? But I honestly hope they will one day reduce or eliminate the practice entirely – it’s an exercise in pandering to the audience, and the days for that are behind us (my opinion). Of particular note is the PM unaged white, which is admittedly a rather fearsome drink to have on its own. Habitation Velier created this entire “unaged white” series for one purpose – to showcase familiar rums from various countries (or estates), but with the twist that this was the original state of the juice as it came dripping off the still, and how excellent (in their opinion) they were, even in that nascent unaged condition. 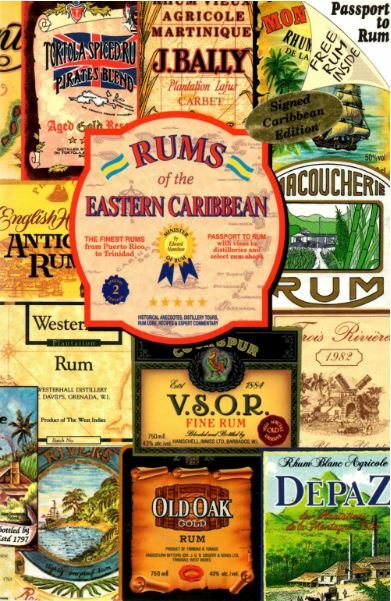 Having had oodles of PM rums over the last ten years, I can absolutely assure you that it may be hot and fierce, but many of the markers we look for in that profile are there, right from the get-go – in the various aged expressions in this lineup we see the many branches of the tree that this elemental seed grows into. 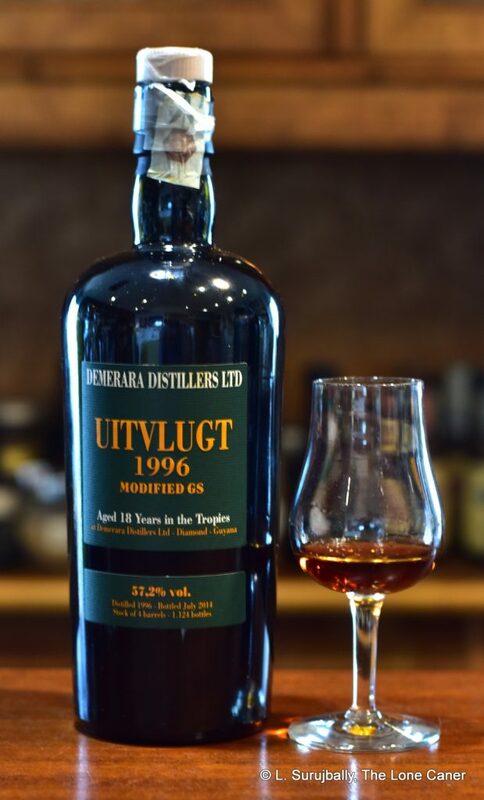 The Uitvlugt 1996 also comes in for some mention – it’s easier and quieter and lighter than the others (which is why it can be picked out with relative ease), and it may be one of the better all-round sipping rums which is specifically not from a wooden still. Myself, I really enjoy the licorice and woody notes of the PM, VSG and EHP, but that should not blind anyone to the quality of what the other stills can do. 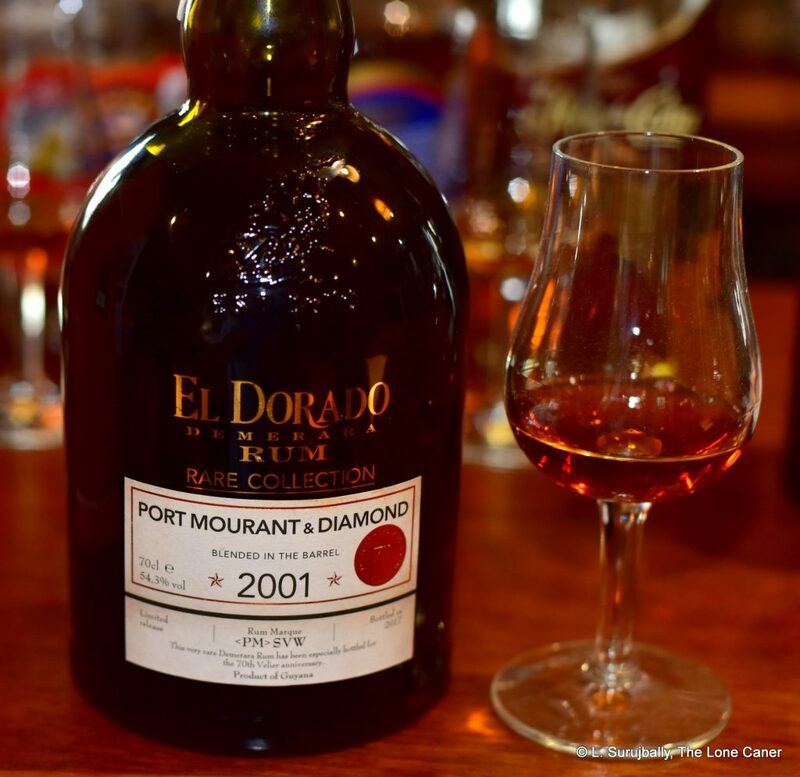 The stories I heard about the second batch of the El Dorado Rare Collection being better than the first are really true – they are. Not by leaps and bounds, no, but incrementally and demonstrably so nevertheless (I wish I could have tested them for dosage, even so). If the third batch (it’s now in prep, three marques, all interesting) keeps at this level of quality, then all those who rent their robes and gnashed their teeth about the booting out of Velier in 2015 can at least be comforted that there is some kind of replacement on the horizon, even if, with their usual odd marketing, DDL never lets on what the outturn is (or was). 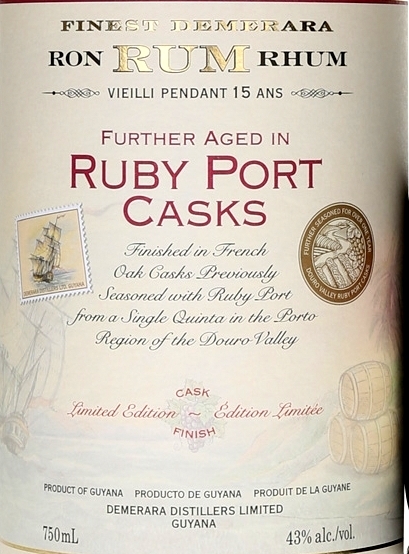 There remains one caveat…I’m still seeing them on store shelves and online rum emporia too often, and that to me suggests they are not selling well…so I think some price adjustment had better be made and a more targeted marketing strategy laid out — because if they see poor sales then no distributor or store will want them and then DDL might just give up the whole idea…which is not exactly what any of us want to see. Lastly, note the preponderance of topical ageing here; and in particular, the bifurcated ageing of the PM 1972 which was the top rum of the day. Luca is a fierce believer and proselytizer of laying barrels to rest in the tropics – and always has been – and scorns continental ageing that so many independents go for when plumbing the works of Scheer for their European indie bottlings. The 1972 shows that other approaches are possible and work in spectacular fashion. Me, I’m somewhat on the fence about this and lack his dynamic laser-like focus on tropical only (though of course, we approach the matter from differing perspectives). Brutally quick tropical maturation gives quick returns and amazingly rich and robust profiles, but I’ve had enough really interesting continentals of similar equivalent age (1 yr tropical can be said to be 5-6 yrs continental, give or take) to appreciate the quieter subtleties they impart as well. 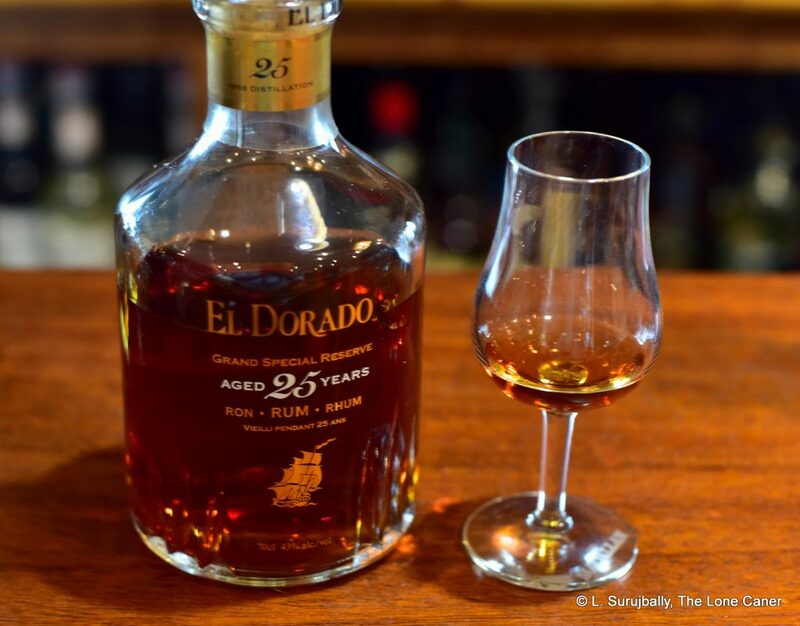 And as I remarked humorously to him some time ago, there’s no way we could have ever gotten a Longpond 58 year old rum in the tropics (an Appleton 75 due in 2037 and an El Dorado 75 in 2041 will let us see if this is true). Anyway, the rankings I’ve done show how the preceding paragraphs impact the placement and hint at the eventual scoring, to be added in here when the real reviews are written. Age and the still and strength are less indicators of quality on their own than complexity and originality of taste and the way these come together in a cohesive whole. No one element dictates quality, they all do. 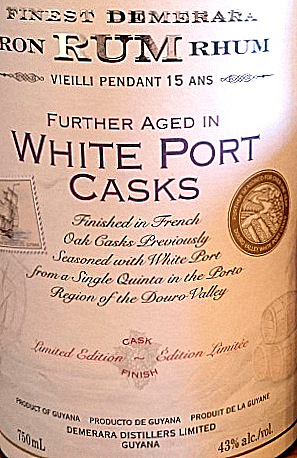 The PM white is unaged but beat both the 43% offerings; it is stronger than all the rest, but slipped in relation to the Rares, and the 1972 was standard proof (almost) but came out on top. 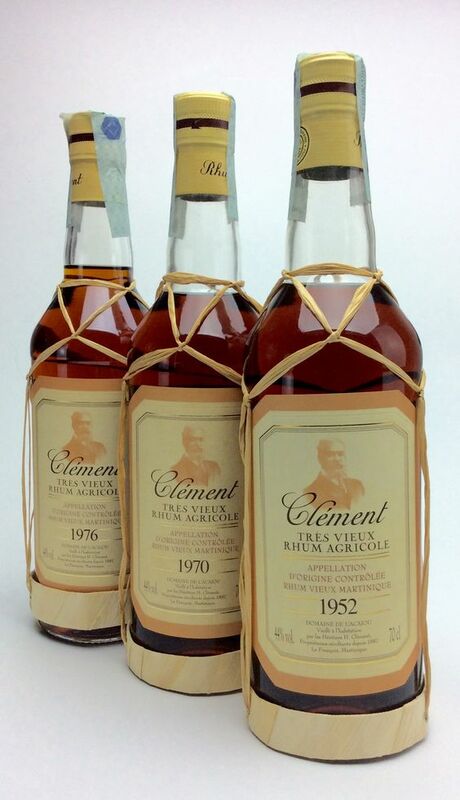 Just about every rum tried (aside from the sweetened abominations of the 25 and 33) scored in the high eighties and snapped at the heels of the exceptional Velier 1972. 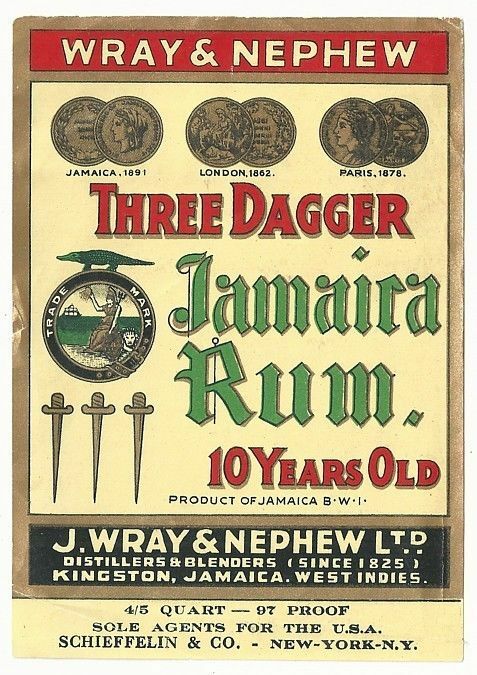 Now that’s a wonderful rum, and it’s not that it fails, but that others succeeded and are getting better all the time…and that probably shows the full proof concept and aged rum ideas Velier gave us, have been learned by DDL (now if they could only forego that damned dosage…). 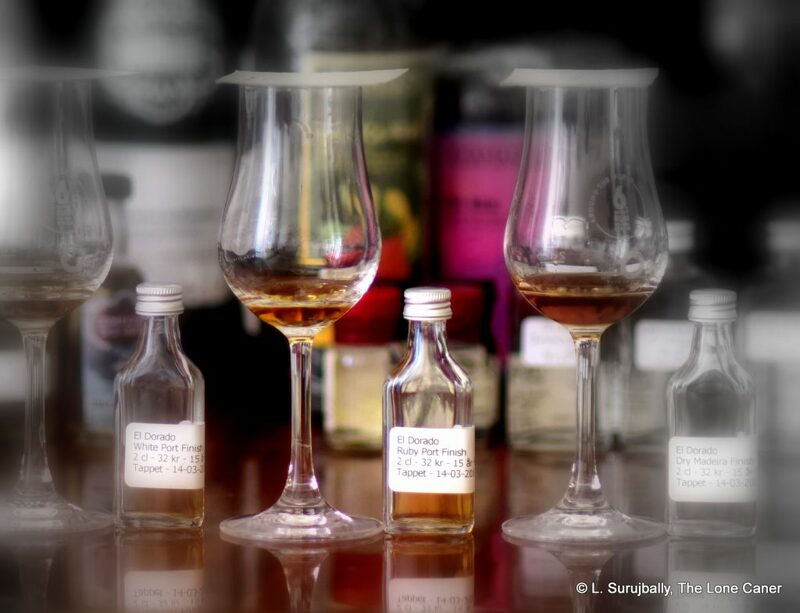 If nothing else, this brief look at eight rums from Guyana demonstrates to us all that the future remains a bright and vibrant and experimental and interesting one for Demerara rums, and they won’t be relegated to second class status any time soon. And that should give us all reason to hope for more in the years to come…even if they’re not the Veliers we remember so fondly. “A cheap shot,” muttered Henrik, referring to DDL stopping Velier’s access to their rums in 2015, and surely channelling the feelings of many. 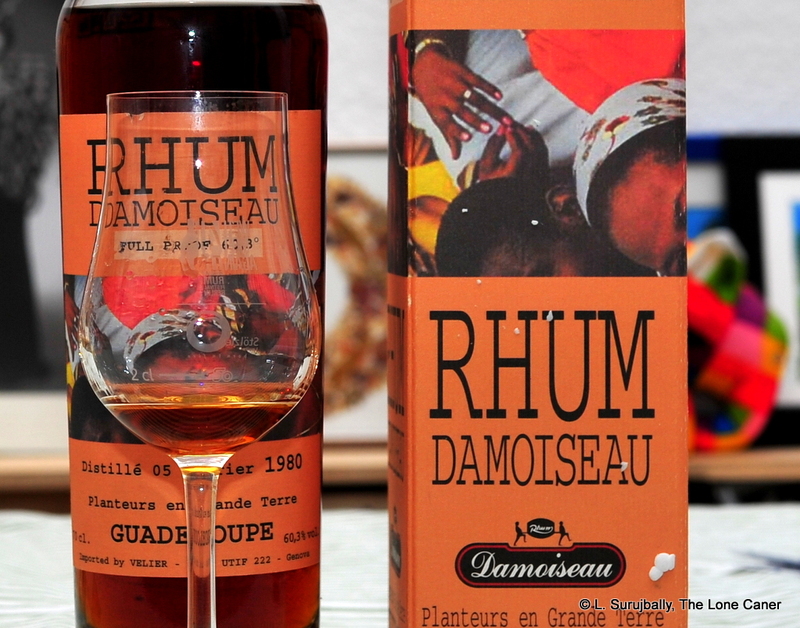 And it was therefore perhaps unavoidable that the initial DDL Rare Collection rums issued in early 2016 were instantly compared to the Age of Demerara Veliers upon whose success they wished to capitalize and whose street cred they sought to supplant. That’s hard cheese and perhaps unfair to the rums, but it was and remains DDL’s cross to bear and they must have known that going in. The question was whether they maintained the standard and kept the bar as high as Velier left it. Luca, in a long and rambling conversation with me early the following year, totally felt they had, but I had a somewhat less exalted opinion after taking apart the the 2002 VSG, where the tannins retained a dominance that made a merely positive experience out of a potentially great one. 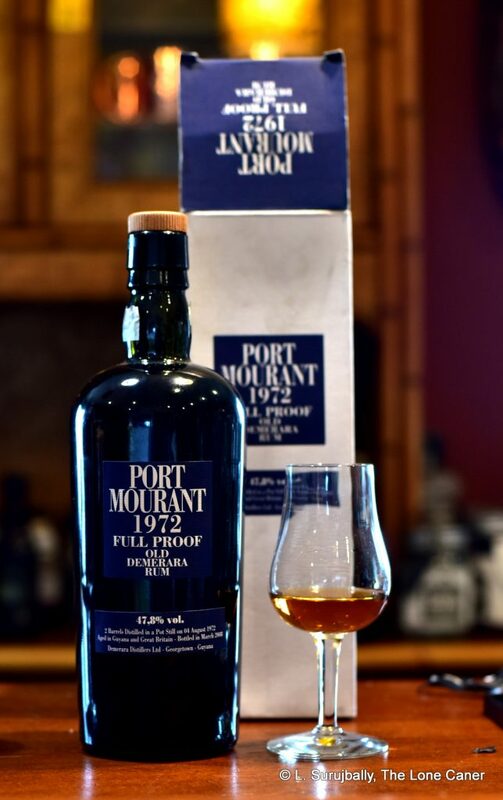 However, I’m a sucker for Enmore and Port Mourant rums too and dived into this one with somewhat more enthusiasm, ignoring the dictum that madness is described as doing the same thing over and over again expecting a different result. One never knows what the result is going to be with these bottlings, after all. Let’s dive right in without further fanfare. The nose was lovely, perhaps a bit light after the 63% of the VSG. In most Enmores, the licorice is up front and in your face as a hockey goalie’s mask, but here it took a back seat for some time, and a righteously enormous fruity nose presented first: pineapple chunks, peaches, apricot, candied oranges, lemon zest, to which was added caramel, oak (too much wood, I thought), a little brine and a detectable but submissive line of licorice in the background that never quite came forward. There’s a sort of lightness to the overall smell that reminded me of an agricole to some extent, which is quite a feat for a Guyanese rum. 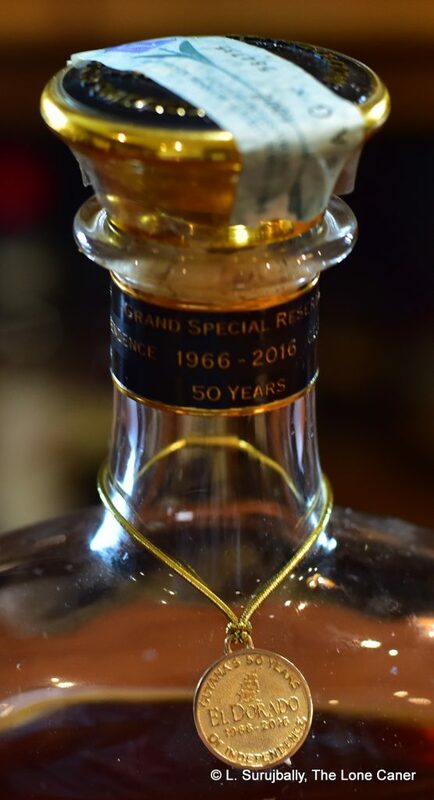 Anyway, it was a pleasure to savour in a snifter or a glencairn and my opinion is that if you’re trying it, take your time, especially if you dropped a couple of hundred bucks on the drink to begin with. 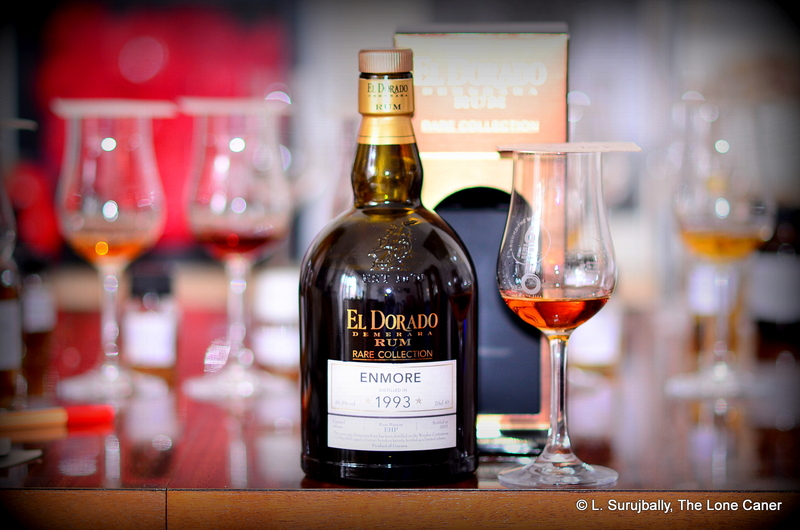 Tasting the Enmore showed that DDL, when they want to put their shoulder to the wheel and stop farting around with dosage and 40%, can produce something quite good (as if we did not already know that from the Three Amigos issued a decade ago). 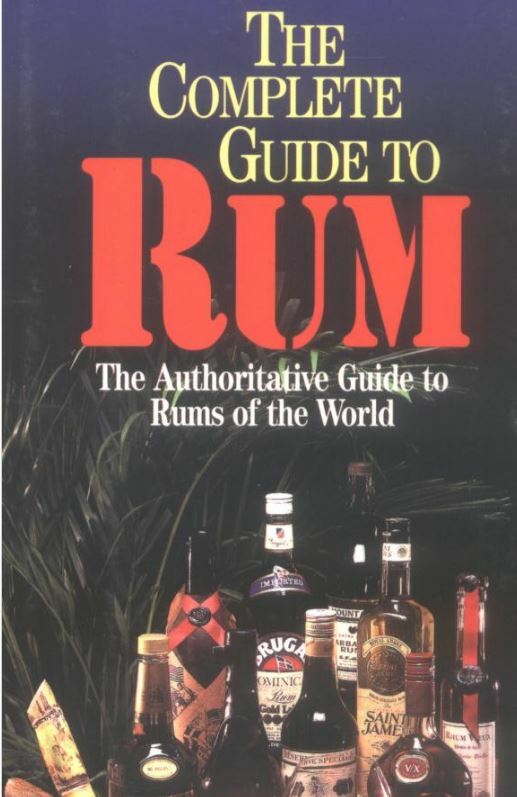 The lightness of the nose disappeared like it was never there: thick and dark and quite warm, even smooth, compared to the other fullproof Guyanese rums I had on the table as controls. It presented fleshy fruits as before (peaches, apricots, pineapple), as well as lemon peel, anise, and a peculiar sort of mouth-puckering dryness that made me think of gooseberries and five-finger. Fortunately there were some balancing tastes of caramel, nougat, a little vanilla, white toblerone and coffee to keep things in bounds, and even more fortunately the oak which I had feared would be over dominant (like with the VSG), was kept under much tighter control and didn’t derail the drink as a whole…although it came close. I’d have to say the finish was interesting – ginger, black tea, aromatic tobacco, caramel and coffee grounds, and a bit of fruitiness and citrus closing up the shop. Overall? Pretty good. 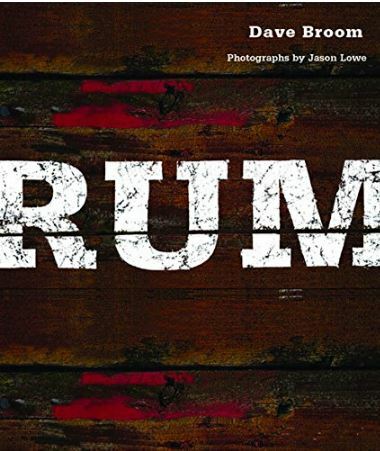 The oak may have been a tad much: the rum may be sporting wood but while that’s a good thing for a Buxton badass, it is somewhat less popular in a rum of this kind. The famed stills have gotten so much press over the years that I hardly need to go into detail: suffice to say while the Versailles is a wooden pot still, the Enmore is a wooden continuous Coffey (column) still, looking, in Dave Broom’ wry opinion, like a huge filing cabinet. 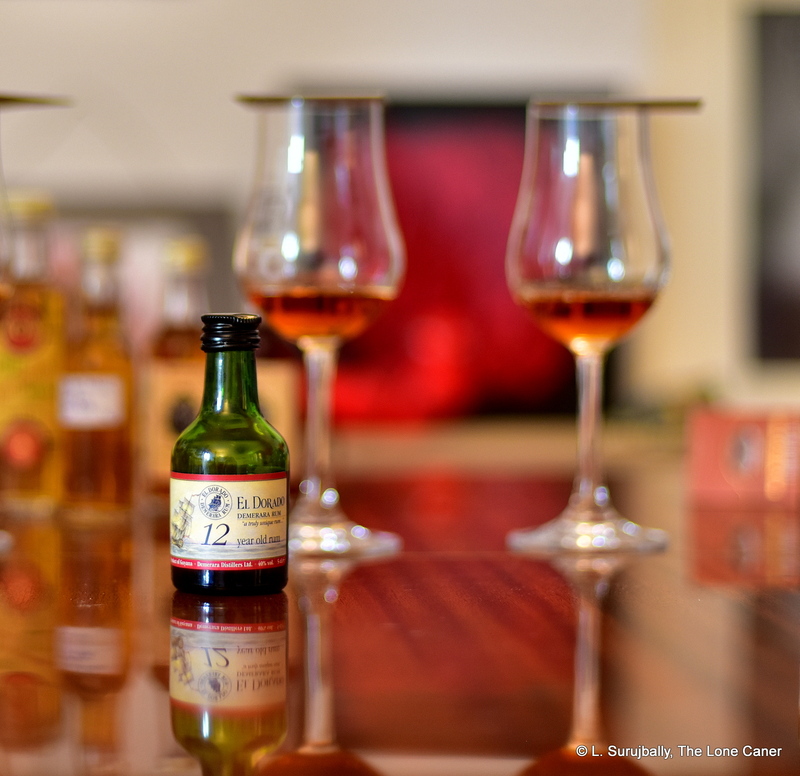 The rums coming off the still have always been among my favourites, and for this Tiger Bay street hood, 22 years old and bottled at 56.5%, no adulteration and old enough to vote, it upheld the rep of the marque extremely well – it does the Enmore “brand” no disrepute or dishonour at all. It stacks up well against the Duncan Taylor Enmore 1985, Silver Seal 1986 and the Velier 1988, does not exceed the Compagnie’s 1988 (that one was masterful and a near impossible act to beat) and I’ve heard DDL’s second release is even better. Based on the result of DDL’s attempt here, I can only say that I’ve steered my purchasing decisions for 2018 in that direction, because this I really have to see. If DDL can make the Enmores that take on and defeat the independents, I think we need have no fear for the marque or the brand dipping in quality any time soon. Just to keep the perspective: Rumcorner scored this 82, remarking with some disappointment that “it still had a few steps to take before it is on par.” And Serge over at WhiskyFun, of course, felt the VSG just killed it and this one could not come up to snuff, scoring it at 81. The FatRumPirate on the other hand, noting that it was “equally as good as some of the Velier Demeraras” gave it the full monty – five stars, as did RumShopBoy, who scored it around 94 (Parker scale converted). And never forget Cyril of DuRhum, who liked it enough to give it 87 solids. The age seems to be a bit confusing: my bottle says distilled in 1993, bottled in 2015 so a 22 year old, but a number of my compatriots say it’s a 21 year old, possibly to line up with the standard bottlings of 12-15-21. DDL as usual did not bother to comment. Honestly, their reticence is really getting annoying. No adulteration noticed or recorded.